Quantum entanglement is thought to be one of the trickiest concepts in science, but the core issues are simple. And once understood, entanglement opens up a richer understanding of concepts such as the “many worlds” of quantum theory. An aura of glamorous mystery attaches to the concept of quantum entanglement, and also to the (somehow) related claim that quantum theory requires “many worlds.” Yet in the end those are, or should be, scientific ideas, with down-to-earth meanings and concrete implications. Here I’d like to explain the concepts of entanglement and many worlds as simply and clearly as I know how. Entanglement is often regarded as a uniquely quantum-mechanical phenomenon, but it is not. In fact, it is enlightening, though somewhat unconventional, to consider a simple non-quantum (or “classical”) version of entanglement first. This enables us to pry the subtlety of entanglement itself apart from the general oddity of quantum theory. 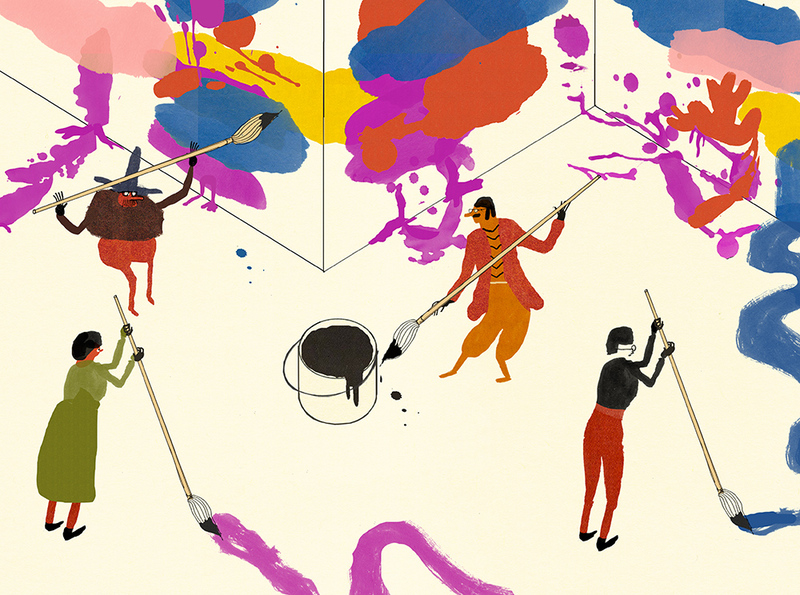 A monthly column in which top researchers explore the process of discovery. 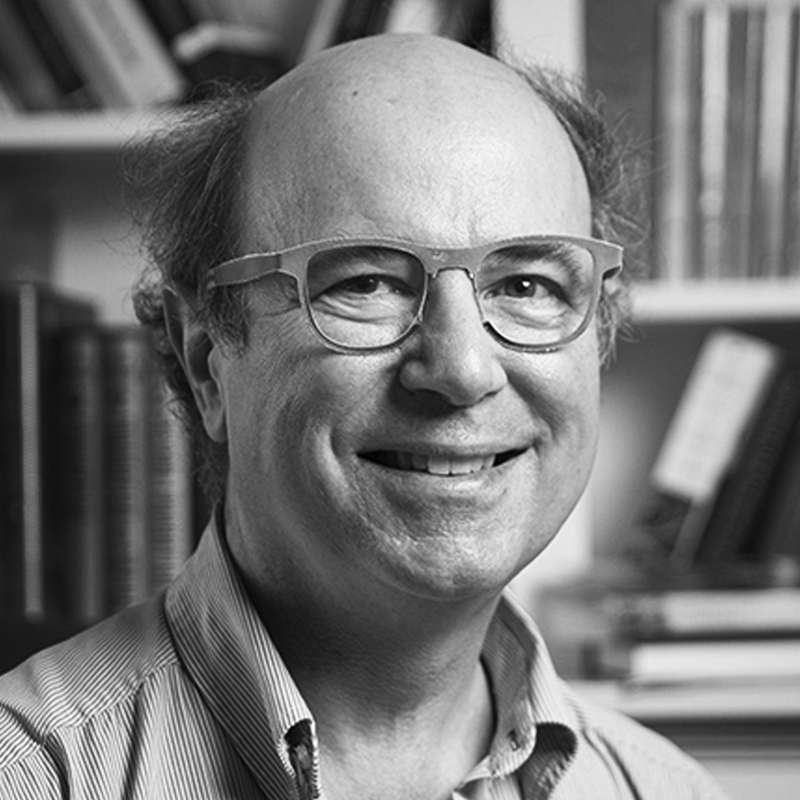 This month’s columnist, Frank Wilczek, is a Nobel Prize-winning physicist at the Massachusetts Institute of Technology. Entanglement arises in situations where we have partial knowledge of the state of two systems. For example, our systems can be two objects that we’ll call c-ons. The “c” is meant to suggest “classical,” but if you’d prefer to have something specific and pleasant in mind, you can think of our c-ons as cakes. Our c-ons come in two shapes, square or circular, which we identify as their possible states. Then the four possible joint states, for two c-ons, are (square, square), (square, circle), (circle, square), (circle, circle). The following tables show two examples of what the probabilities could be for finding the system in each of those four states. We say that the c-ons are “independent” if knowledge of the state of one of them does not give useful information about the state of the other. Our first table has this property. If the first c-on (or cake) is square, we’re still in the dark about the shape of the second. Similarly, the shape of the second does not reveal anything useful about the shape of the first. On the other hand, we say our two c-ons are entangled when information about one improves our knowledge of the other. Our second table demonstrates extreme entanglement. In that case, whenever the first c-on is circular, we know the second is circular too. And when the first c-on is square, so is the second. Knowing the shape of one, we can infer the shape of the other with certainty. The quantum version of entanglement is essentially the same phenomenon — that is, lack of independence. In quantum theory, states are described by mathematical objects called wave functions. The rules connecting wave functions to physical probabilities introduce very interesting complications, as we will discuss, but the central concept of entangled knowledge, which we have seen already for classical probabilities, carries over. Cakes don’t count as quantum systems, of course, but entanglement between quantum systems arises naturally — for example, in the aftermath of particle collisions. In practice, unentangled (independent) states are rare exceptions, for whenever systems interact, the interaction creates correlations between them. Consider, for example, molecules. They are composites of subsystems, namely electrons and nuclei. A molecule’s lowest energy state, in which it is most usually found, is a highly entangled state of its electrons and nuclei, for the positions of those constituent particles are by no means independent. As the nuclei move, the electrons move with them. Note how in this formulation the parentheses clearly separate systems 1 and 2 into independent units. There are many ways to create entangled states. One way is to make a measurement of your (composite) system that gives you partial information. We can learn, for example, that the two systems have conspired to have the same shape, without learning exactly what shape they have. This concept will become important later. The more distinctive consequences of quantum entanglement, such as the Einstein-Podolsky-Rosen (EPR) and Greenberger-Horne-Zeilinger (GHZ) effects, arise through its interplay with another aspect of quantum theory called “complementarity.” To pave the way for discussion of EPR and GHZ, let me now introduce complementarity. Previously, we imagined that our c-ons could exhibit two shapes (square and circle). Now we imagine that it can also exhibit two colors — red and blue. If we were speaking of classical systems, like cakes, this added property would imply that our c-ons could be in any of four possible states: a red square, a red circle, a blue square or a blue circle. Yet for a quantum cake — a quake, perhaps, or (with more dignity) a q-on — the situation is profoundly different. The fact that a q-on can exhibit, in different situations, different shapes or different colors does not necessarily mean that it possesses both a shape and a color simultaneously. In fact, that “common sense” inference, which Einstein insisted should be part of any acceptable notion of physical reality, is inconsistent with experimental facts, as we’ll see shortly. We can measure the shape of our q-on, but in doing so we lose all information about its color. Or we can measure the color of our q-on, but in doing so we lose all information about its shape. What we cannot do, according to quantum theory, is measure both its shape and its color simultaneously. No one view of physical reality captures all its aspects; one must take into account many different, mutually exclusive views, each offering valid but partial insight. This is the heart of complementarity, as Niels Bohr formulated it. A property that is not measured need not exist. Measurement is an active process that alters the system being measured. Albert Einstein, Boris Podolsky and Nathan Rosen (EPR) described a startling effect that can arise when two quantum systems are entangled. The EPR effect marries a specific, experimentally realizable form of quantum entanglement with complementarity. An EPR pair consists of two q-ons, each of which can be measured either for its shape or for its color (but not for both). We assume that we have access to many such pairs, all identical, and that we can choose which measurements to make of their components. If we measure the shape of one member of an EPR pair, we find it is equally likely to be square or circular. If we measure the color, we find it is equally likely to be red or blue. The interesting effects, which EPR considered paradoxical, arise when we make measurements of both members of the pair. When we measure both members for color, or both members for shape, we find that the results always agree. Thus if we find that one is red, and later measure the color of the other, we will discover that it too is red, and so forth. On the other hand, if we measure the shape of one, and then the color of the other, there is no correlation. Thus if the first is square, the second is equally likely to be red or to be blue. We will, according to quantum theory, get those results even if great distances separate the two systems, and the measurements are performed nearly simultaneously. The choice of measurement in one location appears to be affecting the state of the system in the other location. This “spooky action at a distance,” as Einstein called it, might seem to require transmission of information — in this case, information about what measurement was performed — at a rate faster than the speed of light. But does it? Until I know the result you obtained, I don’t know what to expect. I gain useful information when I learn the result you’ve measured, not at the moment you measure it. And any message revealing the result you measured must be transmitted in some concrete physical way, slower (presumably) than the speed of light. Upon deeper reflection, the paradox dissolves further. Indeed, let us consider again the state of the second system, given that the first has been measured to be red. If we choose to measure the second q-on’s color, we will surely get red. 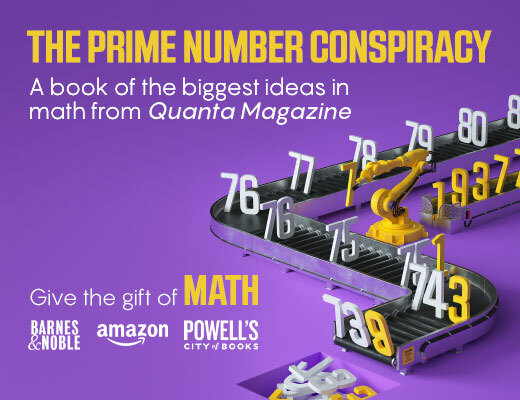 But as we discussed earlier, when introducing complementarity, if we choose to measure a q-on’s shape, when it is in the “red” state, we will have equal probability to find a square or a circle. Thus, far from introducing a paradox, the EPR outcome is logically forced. It is, in essence, simply a repackaging of complementarity. Nor is it paradoxical to find that distant events are correlated. After all, if I put each member of a pair of gloves in boxes, and mail them to opposite sides of the earth, I should not be surprised that by looking inside one box I can determine the handedness of the glove in the other. Similarly, in all known cases the correlations between an EPR pair must be imprinted when its members are close together, though of course they can survive subsequent separation, as though they had memories. Again, the peculiarity of EPR is not correlation as such, but its possible embodiment in complementary forms. Daniel Greenberger, Michael Horne and Anton Zeilinger discovered another brilliantly illuminating example of quantum entanglement. It involves three of our q-ons, prepared in a special, entangled state (the GHZ state). We distribute the three q-ons to three distant experimenters. Each experimenter chooses, independently and at random, whether to measure shape or color, and records the result. The experiment gets repeated many times, always with the three q-ons starting out in the GHZ state. Each experimenter, separately, finds maximally random results. When she measures a q-on’s shape, she is equally likely to find a square or a circle; when she measures its color, red or blue are equally likely. So far, so mundane. But later, when the experimenters come together and compare their measurements, a bit of analysis reveals a stunning result. Let us call square shapes and red colors “good,” and circular shapes and blue colors “evil.” The experimenters discover that whenever two of them chose to measure shape but the third measured color, they found that exactly 0 or 2 results were “evil” (that is, circular or blue). But when all three chose to measure color, they found that exactly 1 or 3 measurements were evil. That is what quantum mechanics predicts, and that is what is observed. So: Is the quantity of evil even or odd? Both possibilities are realized, with certainty, in different sorts of measurements. We are forced to reject the question. It makes no sense to speak of the quantity of evil in our system, independent of how it is measured. Indeed, it leads to contradictions. The GHZ effect is, in the physicist Sidney Coleman’s words, “quantum mechanics in your face.” It demolishes a deeply embedded prejudice, rooted in everyday experience, that physical systems have definite properties, independent of whether those properties are measured. For if they did, then the balance between good and evil would be unaffected by measurement choices. Once internalized, the message of the GHZ effect is unforgettable and mind-expanding. Thus far we have considered how entanglement can make it impossible to assign unique, independent states to several q-ons. Similar considerations apply to the evolution of a single q-on in time. We say we have “entangled histories” when it is impossible to assign a definite state to our system at each moment in time. Similarly to how we got conventional entanglement by eliminating some possibilities, we can create entangled histories by making measurements that gather partial information about what happened. In the simplest entangled histories, we have just one q-on, which we monitor at two different times. We can imagine situations where we determine that the shape of our q-on was either square at both times or that it was circular at both times, but that our observations leave both alternatives in play. This is a quantum temporal analogue of the simplest entanglement situations illustrated above. Using a slightly more elaborate protocol we can add the wrinkle of complementarity to this system, and define situations that bring out the “many worlds” aspect of quantum theory. Thus our q-on might be prepared in the red state at an earlier time, and measured to be in the blue state at a subsequent time. As in the simple examples above, we cannot consistently assign our q-on the property of color at intermediate times; nor does it have a determinate shape. Histories of this sort realize, in a limited but controlled and precise way, the intuition that underlies the many worlds picture of quantum mechanics. A definite state can branch into mutually contradictory historical trajectories that later come together. Erwin Schrödinger, a founder of quantum theory who was deeply skeptical of its correctness, emphasized that the evolution of quantum systems naturally leads to states that might be measured to have grossly different properties. His “Schrödinger cat” states, famously, scale up quantum uncertainty into questions about feline mortality. Prior to measurement, as we’ve seen in our examples, one cannot assign the property of life (or death) to the cat. Both — or neither — coexist within a netherworld of possibility. Everyday language is ill suited to describe quantum complementarity, in part because everyday experience does not encounter it. Practical cats interact with surrounding air molecules, among other things, in very different ways depending on whether they are alive or dead, so in practice the measurement gets made automatically, and the cat gets on with its life (or death). But entangled histories describe q-ons that are, in a real sense, Schrödinger kittens. Their full description requires, at intermediate times, that we take both of two contradictory property-trajectories into account. The controlled experimental realization of entangled histories is delicate because it requires we gather partial information about our q-on. 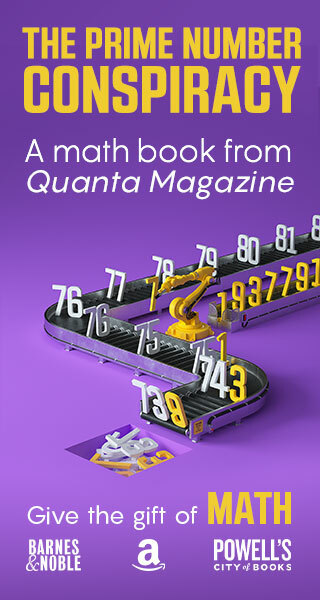 Conventional quantum measurements generally gather complete information at one time — for example, they determine a definite shape, or a definite color — rather than partial information spanning several times. But it can be done — indeed, without great technical difficulty. In this way we can give definite mathematical and experimental meaning to the proliferation of “many worlds” in quantum theory, and demonstrate its substantiality.